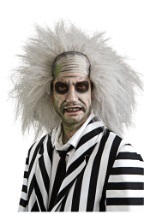 Become the crazy Michael Keaton character from Tim Burton's Beetlejuice! 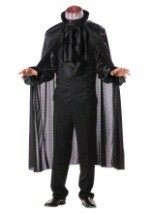 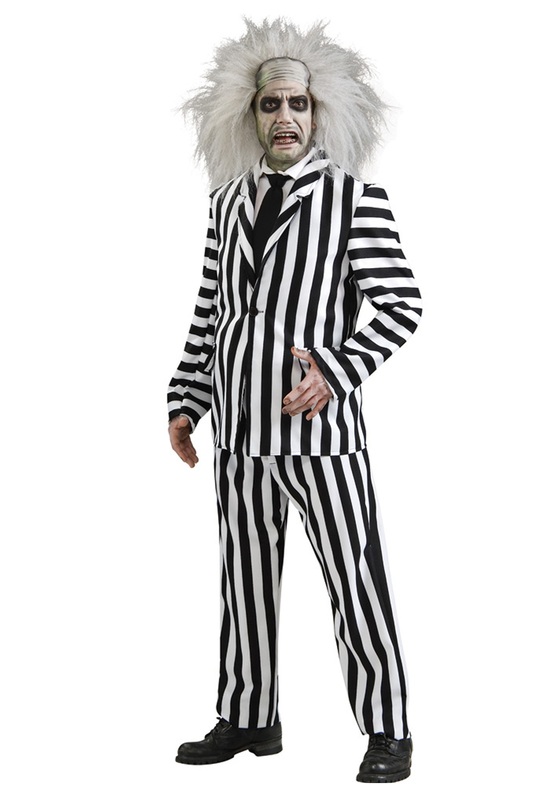 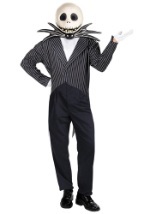 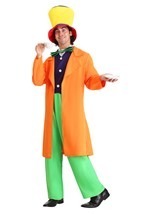 This deluxe licensed adult Beetlejuice costume features his black and white striped suit from the movie. 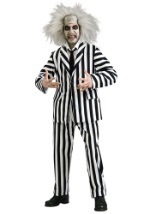 The polyester jacket has vertical stripes on the chest and back. 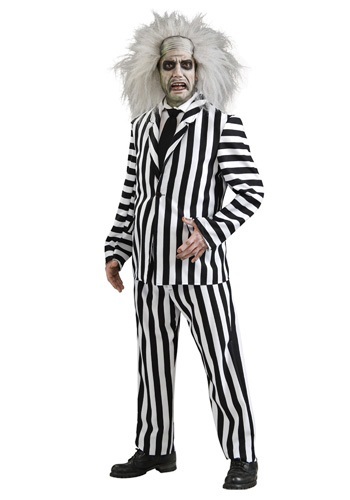 Horizontal stripes offer contrast on the sleeves. 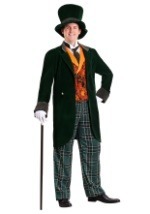 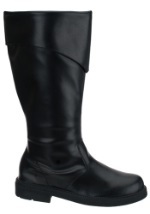 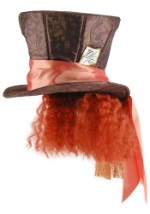 A single button closes the front and two faux pocket flaps are on either side. 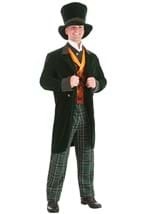 The white dickie with an attached black necktie slips over the head and ties behind the neck and on the sides to stay secure. 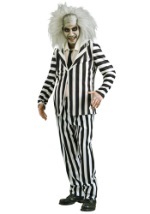 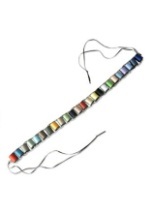 The coordinating striped elastic-waisted polyester pants have a zipper and Velcro closure in the front. 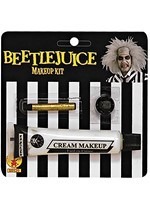 Get our Beetlejuice makeup kit to complete the movie look this Halloween!